While these fortune tellers may not be able to tell your future, they are sure to help your children with autism develop their social skills! 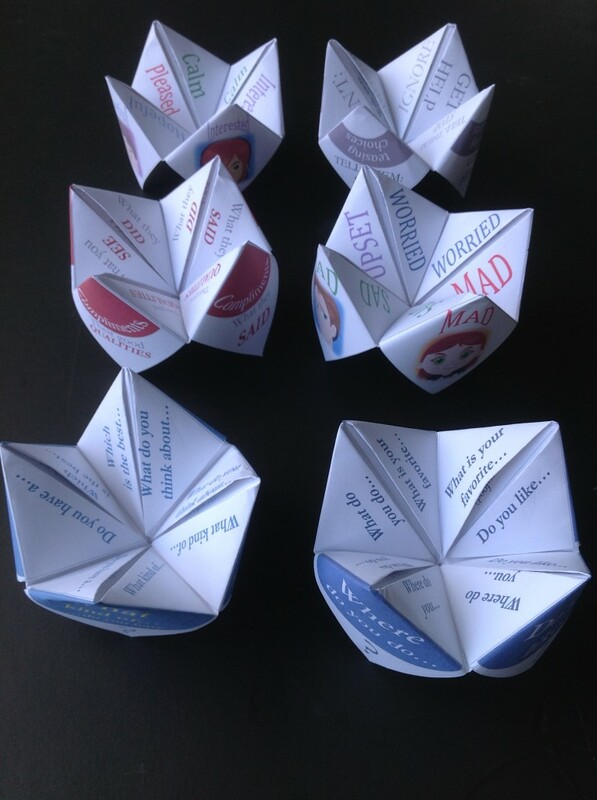 This free printable, created by Joel Shaul from Autism Teaching Strategies, makes social learning fun by having students pair up and offer conversation starters using a Social Skills Fortune Teller. All you have to do is print, cut, fold and play! As well as self-help strategies for teasing and bullying. For further tips, instructions for use, and to download this free printable, click here and don’t forget to share all the other fun ways you and your students have fun developing social skills by leaving a comment below! Written by: Different Roads to Learning on April 20, 2016.on April 19, 2016. This entry was posted in autism, Autism Awareness, autistic spectrum disorder, Behavior, Daily Living Skills, Do It Yourself, Playskills, Social Skills and tagged autism, Autism Awareness, Autism Awareness Month, autism education, autistic spectrum disorder, conversational skills, learning, social skills, socialization, special education, teaching tools by Different Roads to Learning. Bookmark the permalink.